A quick anecdote before I get into the meat of this review: music should be appreciated for what it is. Having said that, I try to evaluate music for the goals it is trying to accomplish and use those as benchmarks. Since the artist in this review has received a lot of criticism, I thought this was worth mentioning. 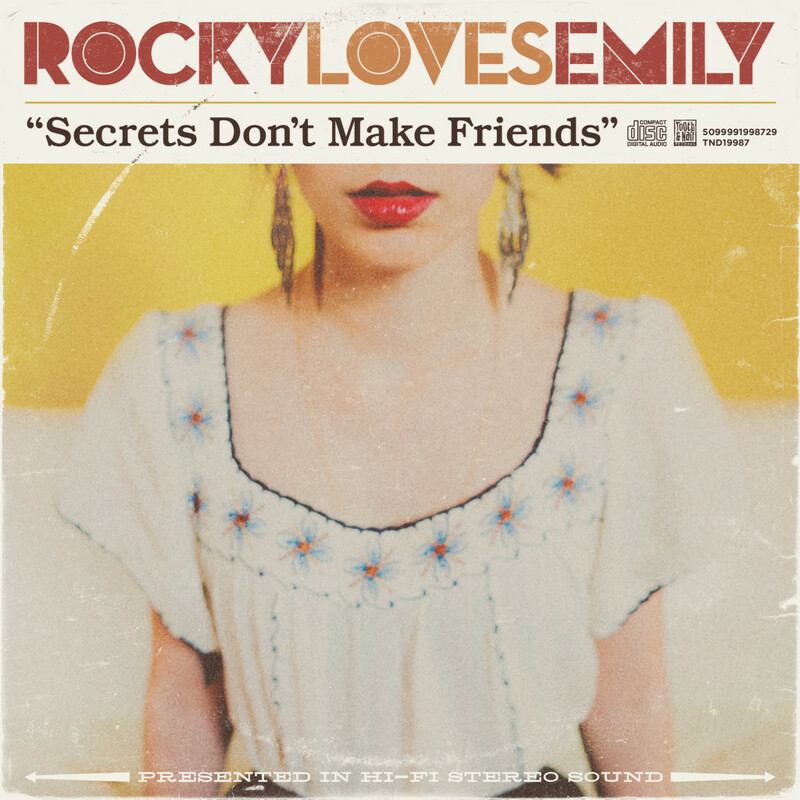 Rocky Loves Emily is a Michigan based pop-punk band signed to Tooth and Nail Records, in the same vein as All Time Low, Mayday Parade, or maybe the lighter side of Pierce the Veil. It seems like the guys are a couple of years too late in hopping on the trend but obviously the fact that they are playing this after the fact somewhat means they are doing this because they WANT to, and not because some producer is coaching them or trying to manufacture the next big thing. Their debut full length on Tooth and Nail Records, Secrets Don’t Make Friends, is a guilty-pleasure, hook-laden record that will be perfect for blasting throughout the summer. Does Secrets Don’t Make Friends hold up well as a summery pop-punk record? Most of the time. The dreaded filler tracks (“Guilty, Guilty” for example) come close to making an appearance but huge sounding tracks like “Be Mine Tonight” more than make up for it. The title track is a bit more stripped down than the other tracks, being about a cheerful as a break-up song can be, emitting tropical vibes. Album opener “I Don’t Like You” treads close to auto tune territory but, like the title track, carries a vibe the opposite of its lyrical content, with one of the biggest hooks on the album. “It’s Not Me, It’s You” is yet another break-up song (sense a theme yet?) and “Dream” is the obligatory power-ballad. “Nightmare” gives us a big guitar hook that gives me the sense that the song would have done well in 90s Top 40 radio and reminds me of FM Static at the same time. “The Root of All Evil” is probably the most interesting song on the album, incorporating electronic elements and not-so-cheesy autotune with a cool breakdown midway through the track. Rocky Loves Emily would have exploded 5 years ago, but they still could. If nothing else, they will appeal to a niche market that will endure. Secrets Don’t Make Friends is a fun album that doesn’t strive to be legendary – it just is. But sometimes that’s all you need. The best products come from entities that embrace who they are, and Rocky Loves Emily does that.